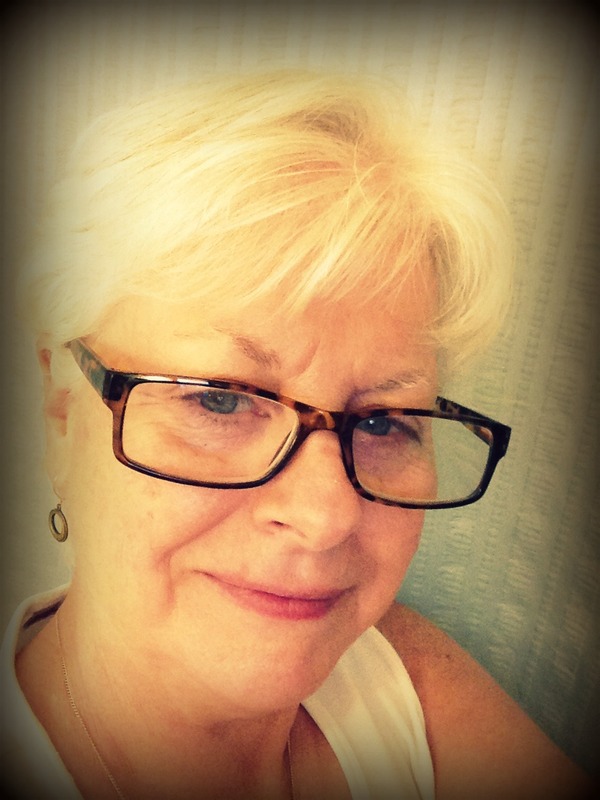 Hello, fellow quilters. Thought I would pop in to show you another brown quilt top that I had completed in the early spring. As I mentioned in this post, I had a lot of browns in my stash for making quilt tops for our Prayer Quilt Ministry. 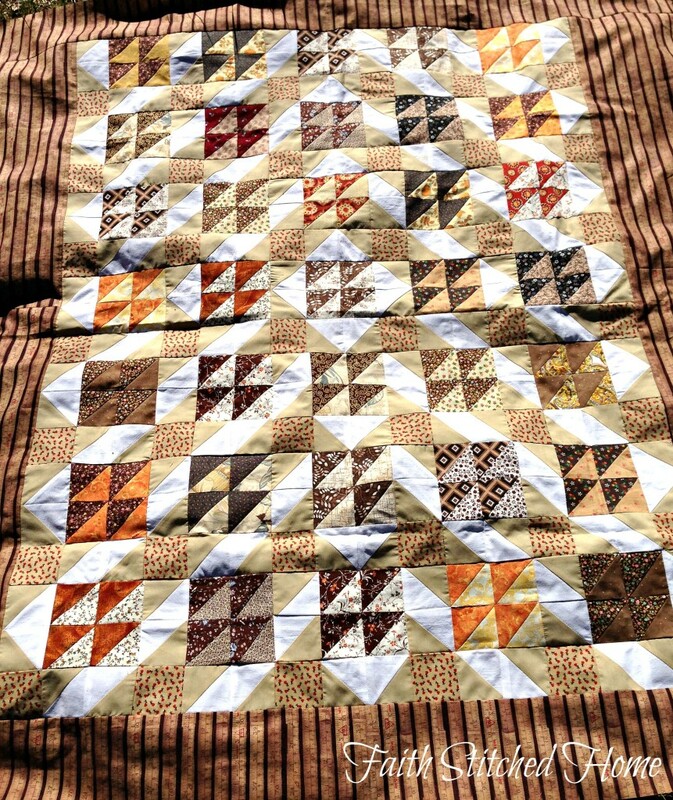 On this top, I used a fair amount of browns while throwing in some orange along the way – a perfect quilt for fall. An old friend commissioned me to make upholstered outdoor cushions for her very cool vintage metal porch set that she inherited. 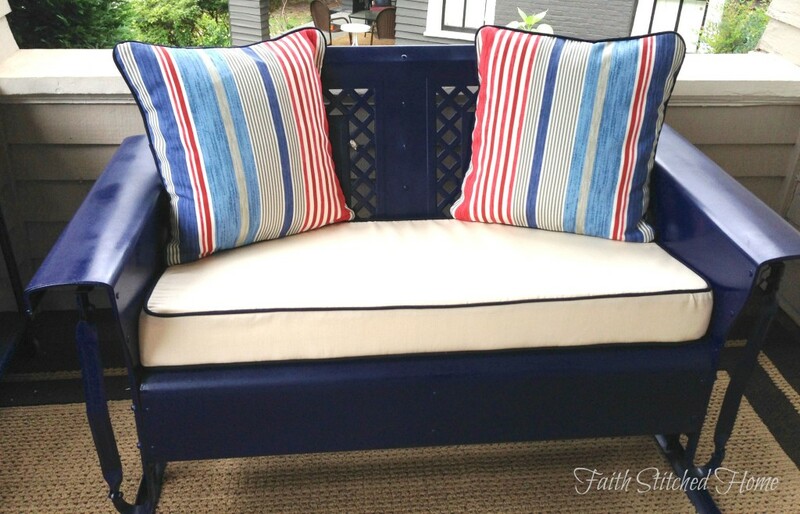 I made the seat cushions in a light beige with navy piping. My family is so lucky to have the best neighbors in the world. We count them among the best of our friends. Our next door neighbor in particular is awesome. We spend a fair amount of time on his driveway (aka red neck patio!) while he fires up his Big Green Egg. His driveway is a magnet. It is extra wide with room for a patio table and four matching chairs. 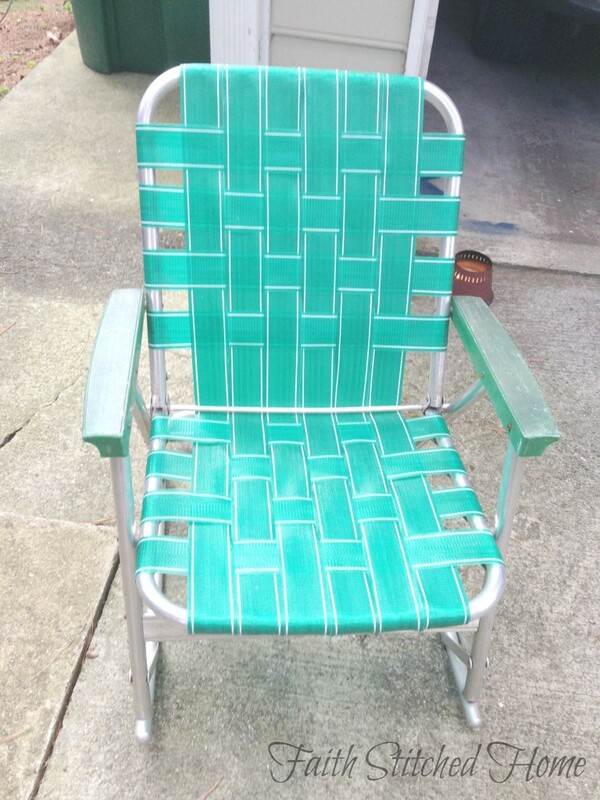 However, the crowd gets too big to be accomodated by the matched patio set so out come the miscellaneous chairs – molded plastic chairs, fold up canvas camping chairs in their carry case, make shift seating in the form of a cooler, you name it. Once he has provided seating for his happenstance guests, he pulls out a ratty, old vintage webbed rocking chair that belonged to his grandmother as his personal seating. That chair must be 50 years old! You just don’t see these old relics anymore, but I love them.